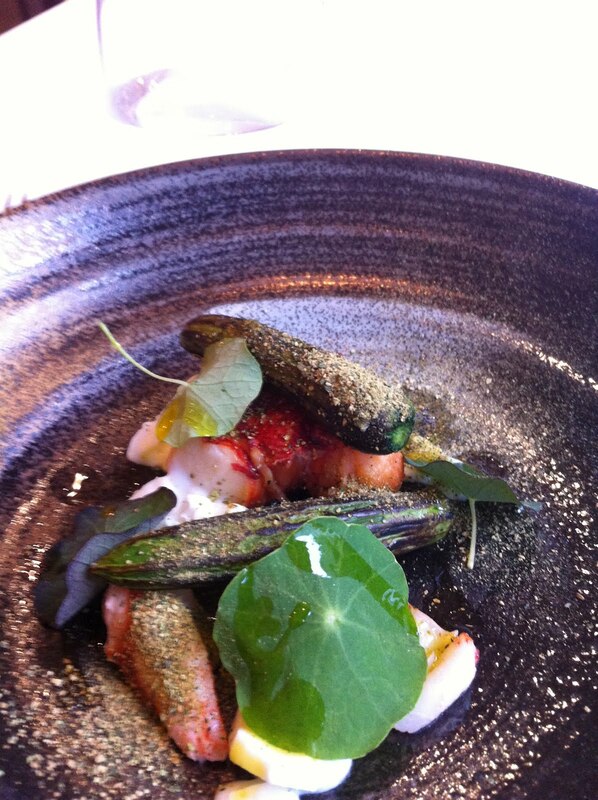 thymeandplaice: North Road- semi Scandinavian cuisine? North Road- semi Scandinavian cuisine? 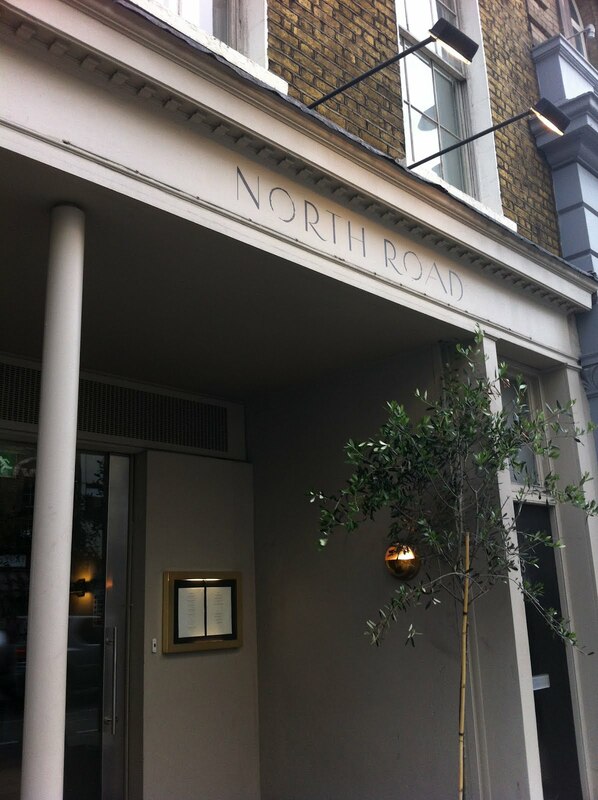 North road, London, has received a lot of praise and accolades during its two year life span, including being awarded a coveted star from Michelin. Their website informs you that head chef Christoffer Hruskova has travelled and worked in Sydney, Hong Kong, New York and San Francisco before settling in London, and opening North road Restaurant. Anyone planning on opening a restaurant across the road from the icon which is St John, must have pretty big opinions of themselves, and a lot of confidence in their ability to perform. Mr Hruskova certainly has confidence and ambition, but for me this whole experience was somewhat of a let down. My first indication that this may not have been the place for me was the way I was shepherded to what the waiter told me was 'the best table in the restaurant'. It wasn't.It was the window table, and it was next to the only other occupied table in the place at 7.30 on a Friday night.Although my neighbours were pleasant enough, even they were bemused by the realisation that we were the only ones in there. They too had been promised 'the best table', as they had told the staff that it was their wedding anniversary. Odd. Then came the food. I chose North road on the reviews I had read which had compared it with the Danish food Behemoth that is Noma. 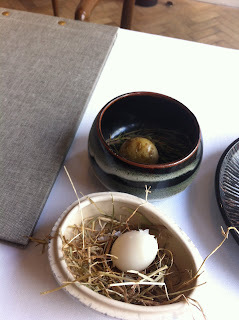 Having had several great experiences under the guidance of Rene Redzepi's team and at several other fantastic Copenhagen eateries, it seemed like a must do. I hope I am not doing North road an injustice by comparing it with Noma, but when you emulate something like Noma, and even try and reproduce some of its classic dishes, you have to be pretty damn good at it in my opinion, and frankly, this wasn't. The bread. The bread was nice, looked and smelled great, tasted good. 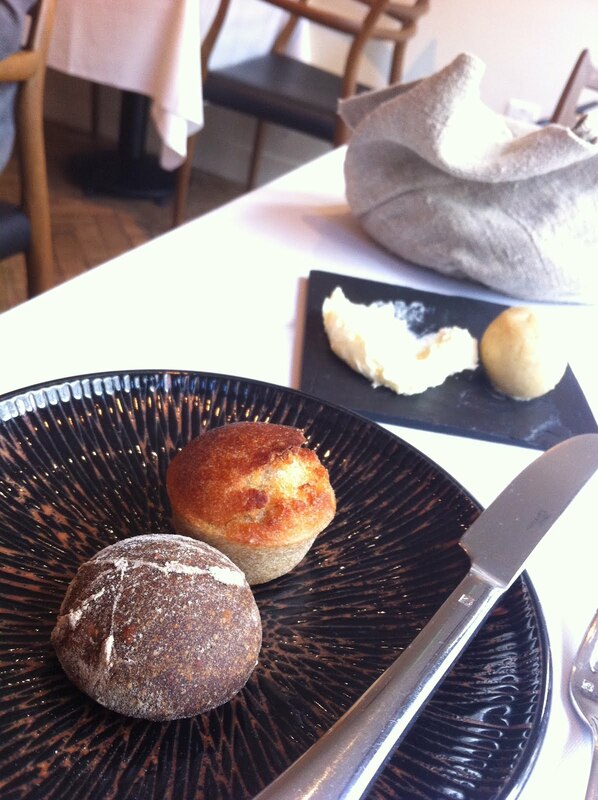 It was however, the smallest bread I have ever seen. the photo above gives guidance to that, the butter ball you see is a standard melon baller size. The rolls were only just bigger than that.Fine, I understand I was having a tasting menu ( 7 courses plus 'snacks') but they were ridiculously small, and I was not offered any more, despite the butter staying on my table during the whole meal. 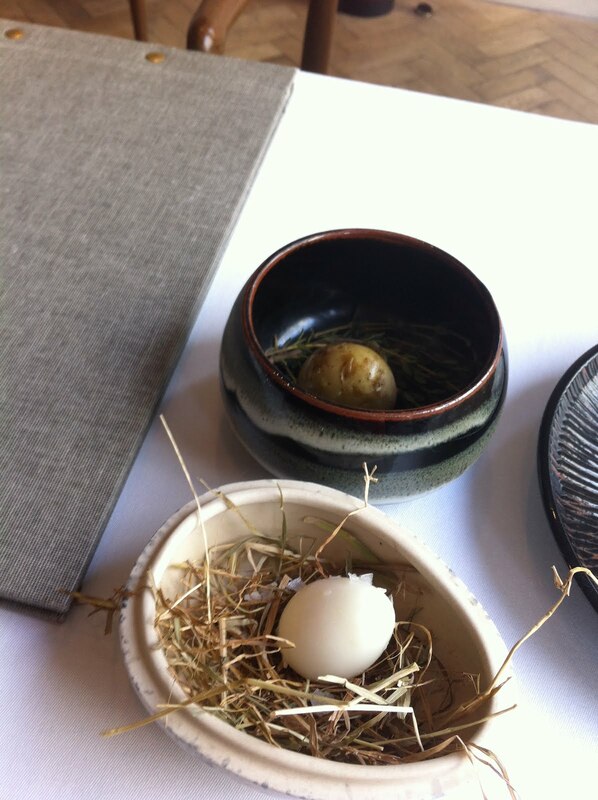 While the snacks were nice, the pickled and smoked quail egg ( (C)noma) was very vinegary and not at all smoky, the smoked potato was incredibly smoky and came with a creme fraiche filling. 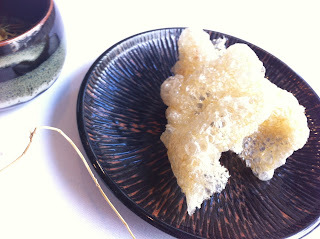 The other was introduced as fish skin pork crackling. it was nice and crispy, but neither fishy or porky. 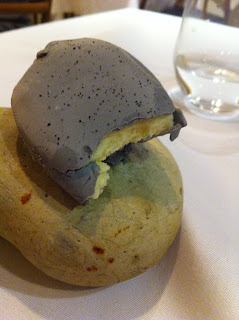 The first course proper was superb, and really had me thinking i was in for a treat. 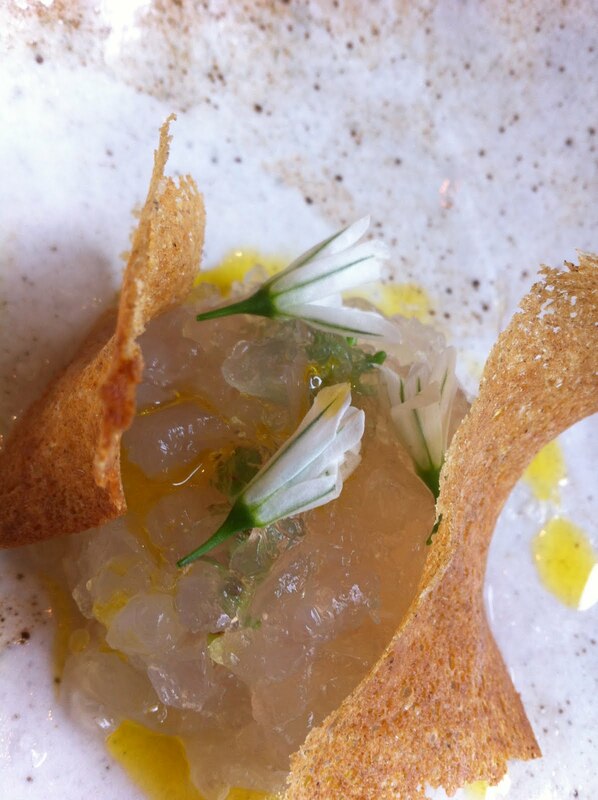 A delicate scallop tartare with oatmeal crostini and wild garlic, it was delicate, fresh and perfectly seasoned. This was my only really good dish. 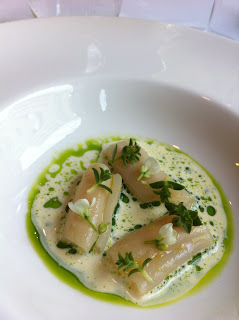 Razor clams in a dill cream and sea herb oil was bland, and very under seasoned, although the clams were perfectly cooked. butter poached lobster was technically fine, but the flavours didn't work at all, and whatever the powder that was sprinkled on it was, it did nothing but remind me of eating sand at the beach as a kid. 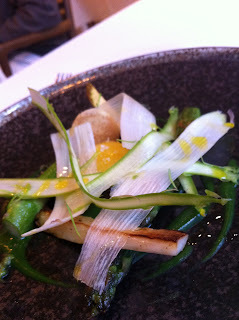 White and green asparagus, egg yolk and wild garlic was not great and not exciting, a poor imitation of a dish we have all seen a million times. 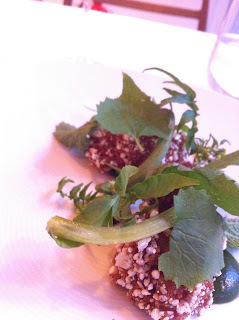 sweetbreads in a pork skin crust (airbag) with wild cress salad and watercress puree was bland, virtually free from any seasoning other than the pork skin crust and badly cooked. two nuggets of sweetbread, one badly overcooked and the other was on the wrong side of just cooked. 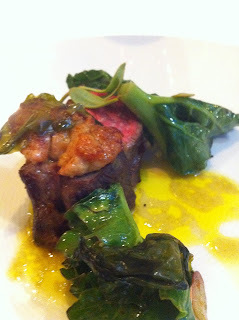 My main course was lamb, with sweetbreads, purple sprouting broccoli and an egg yolk sauce. Once again, the cooking was fine, the lamb was nice and pink and tender, but it was so boring, no depth of flavour from the meat or the accompaniments. It screamed out for some garlic, herbs or acidic element to enliven it. Its cries fell on deaf ears. my pre-dessert was a fun thing, a 'pebble' of coconut ice cream, coated in an edible clay called Kaolin, and made to look just like stone. 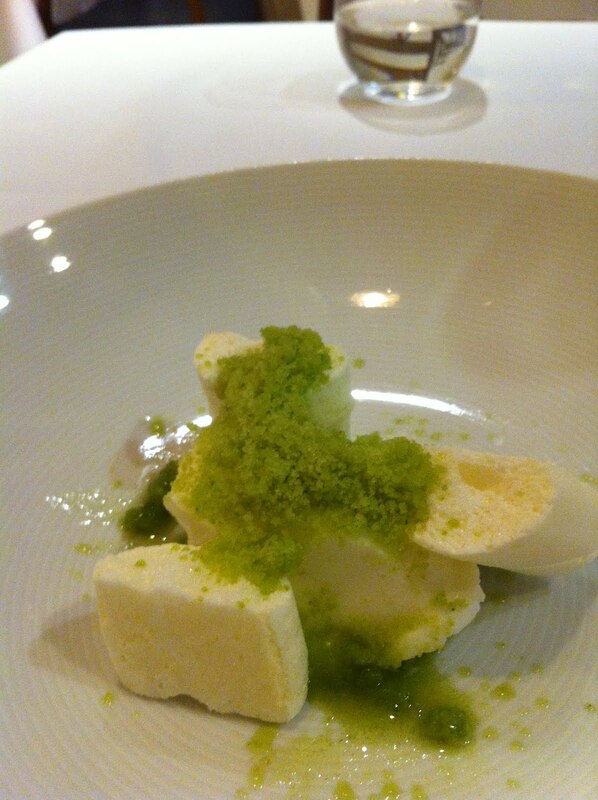 For dessert, I was presented with a yoghurt parfait with pine 'snow' and a douglas fir and yoghurt meringue. 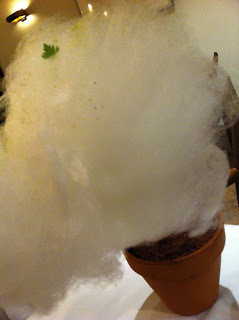 all the elements were fine, but it was also very very sweet, and the lasting mouth feel was like candy floss.A tame end to an overall average meal. Except it wasn't the end. After the very sugary dessert came some petit fours -even though I didn't have coffee- of a sugary shortbread, sea salt caramel and candy floss. I tasted them all, and exactly as I expected, way too sweet an ending. The final nail in the north road coffin for me was when I discovered that I had been charged for coffee and petit fours, despite not having the coffee and not asking for the petit fours. 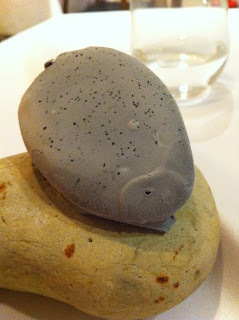 When I pointed this out, my waiter merely said "but you ate them sir...". I paid for my petit fours, and when asked as I left if I enjoyed my 'experience', I had no option but to tell the waiter that no, I had not. As a post script to this page, it turns out that chef Hrusskova had actually parted company with north road at the time of my 'experience' there, a fact which only came to light recently. I hope it explains how a restaurant can go so far out of its way to be poor, and that Crisstoffer is soon cooking again so I can visit and he can prove to me that his philosophy works.